Over the centuries our gardens have seen many changes, some brought about by the fashion of the day or influenced by prominent gardeners of the time. Every garden has its stories, secrets untold and little known facets hidden beneath the surface or tucked away in some archive. For those of you with a curious mind, there is no better way to discover those secrets than to join us for a tour through time accompanied by one of our dedicated team of garden guide volunteers. 1. Are these the remains of the standings of Tudor bridge that crossed the main lake? 2. What does this 1640s painting of The Vyne tell us about the past? 3. Does this LIDAR image reveal a hidden garden and parterre? 4. The remains of the 1840s bridge that was brought down by the storm of 1986. 5. This 1740s painting seems to indicate elaborate gardens that may have existed to the North of the lake. 6. A small part of the massive walls which survive just below the surface of the North lawn bordering the lake. Hidden History tour: Our Hidden History tour uncovers the hidden past of the Vyne, using archaeological and architectural clues to reveal its medieval beginnings and its development into an imposing Tudor mansion that welcomed Tudor royalty. You will see how it then evolved into a grand family home complete with extensive gardens, woods and farmlands. 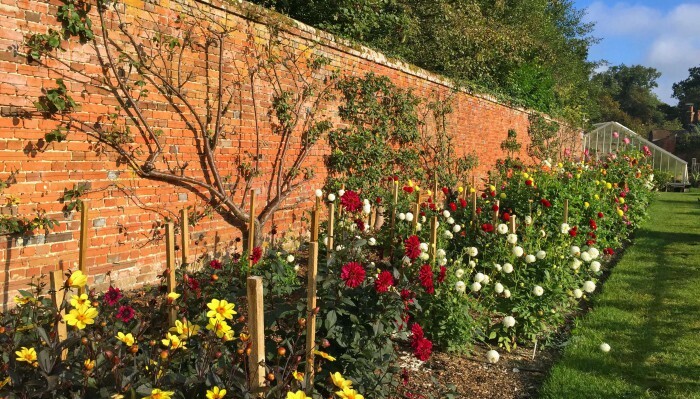 Gardens and Grounds tour: This tour focuses on the history of the gardens, its plants and trees and development of the estate, including where some of the plants came from and their uses. Depending on the time of year we will help you spot interesting flora and fauna along the way. Both tours are free and last approximately 45 minutes. 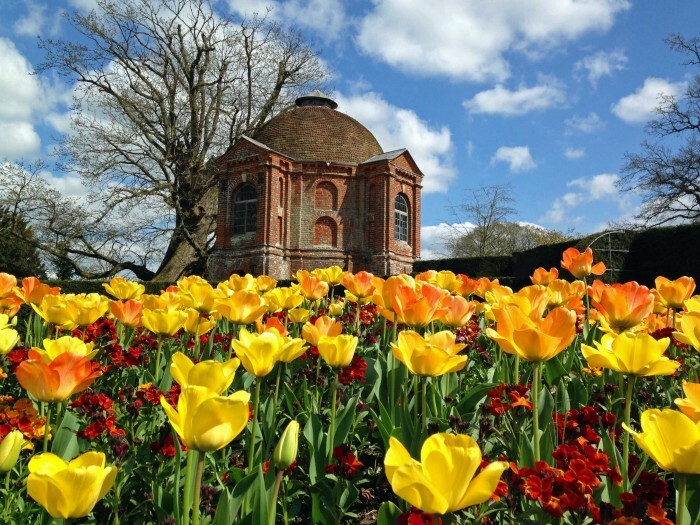 Whichever tour you join you will learn something new and interesting about The Vyne. Please ask our warm and friendly visitor reception staff for more details of where and when you can join a tour.